The Henkel Award for Outstanding Graduate Research in Polymer Science and Engineering is given to recognize a graduate student or recent graduate who has completed an outstanding Ph.D. thesis in polymeric research. The award consists of a plaque and an honorarium of $2,000 which will be presented at the POLY/PMSE award symposium at the fall national ACS meeting. The award also includes travel expenses (up to $1500) to the ACS Meeting to participate in the one-half day symposium to honor the recipient. The award was first awarded in 1991 and is operated under the Polymer Education Committee (POLYED), sponsored by the Polymer Chemistry Division and Polymeric Materials: Science and Engineering Division. The award has been previously sponsored by Unilever (1991-2003), National Starch (2006-2008) and AzkoNobel (2008-2013). It has since been sponsored by Henkel. A nominee must be a member or affiliate of the POLY division of ACS and must currently be a PhD candidate or have earned their PhD during the three years prior or January 1 of the award year. Nominees will be judged on the basis of their contribution to the thesis research, the quality and level of innovation demonstrated, and the impact of the research on the science of synthetic polymers or biopolymers. Nominators must be a member or affiliate of the POLY division and must be the nominee’s thesis supervisor or someone familiar with the nominee’s work. The nominating document must include: (1) the nominee’s biography (or curriculum vitae), (2) a synopsis of the nominee’s work, and (3) a letter of recommendation from the thesis advisor. Relevant publications based on the thesis work may be submitted. Supporting documents and testimonials may also be included. A PDF file should be sent to Jessica Kramer (jessica.kramer@utah.edu). Please use “Henkel Graduate Award” in the subject line. The nomination email will be acknowledged if received. Henkel values highly the development of outstanding scientists in the field of polymer science and engineering. Progress in the field is vital for the future development of high performance materials that will enhance current technologies and enable future ones. Thus, Henkel is proud to sponsor this award to demonstrate their commitment recognizing outstanding young scientists. 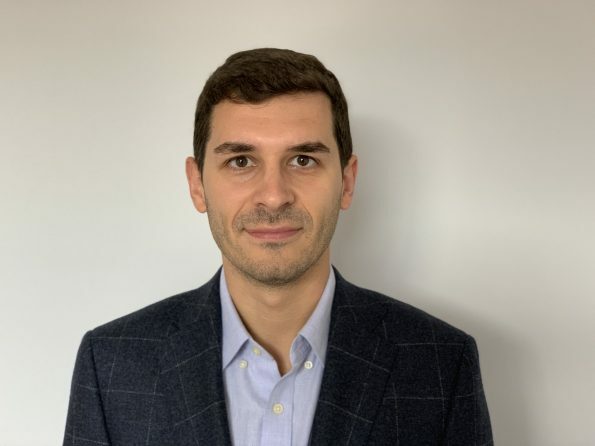 The winner of the 2019 Henkel Award for Outstanding Graduate Research in Polymer Science and Engineering is Dr. Jovan Kamcev. After earning his B.E.’s in Chemical Engineering and Applied Math & Statistics from Stony Brook University in 2012, Kamcev joined the graduate program at the University of Texas–Austin. He earned his Ph.D. in 2016 in Chemical Engineering from the UT-Austin under the supervision of Profs. Benny D. Freeman and Donald R. Paul for combined theoretical and experimental studies of ion and water transport in ion-containing polymer membranes for water and energy applications. Dr. Kamcev is currently is a postdoctoral research associate working with Prof. Jeffrey R. Long in the Department of Chemistry at University of California–Berkeley, where his current research focuses on developing novel porous network polymers for wide-ranging applications, including selective ion removal from aqueous solutions and energy storage. The previous sponsorship of this award by Unilever (1991-2003), National Starch (2006 – 2008), and AzkoNobel (2008-2013) is greatly appreciated.